The Bag Drop Area will be very busy, so if you plan on leaving a bag please allow extra time as there will be queues (plan for at least 15 mins in this area). 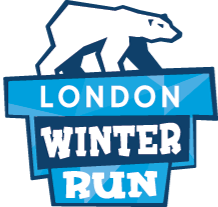 Please note WE WILL ONLY BE ACCEPTING OFFICIAL LONDON WINTER RUN DRAWSTRING BAGS. These are included in your race pack, which will be sent out as detailed above. We are sorry but other bags including suitcases, backpacks, satchels, briefcases, or sports bags will not be accepted.